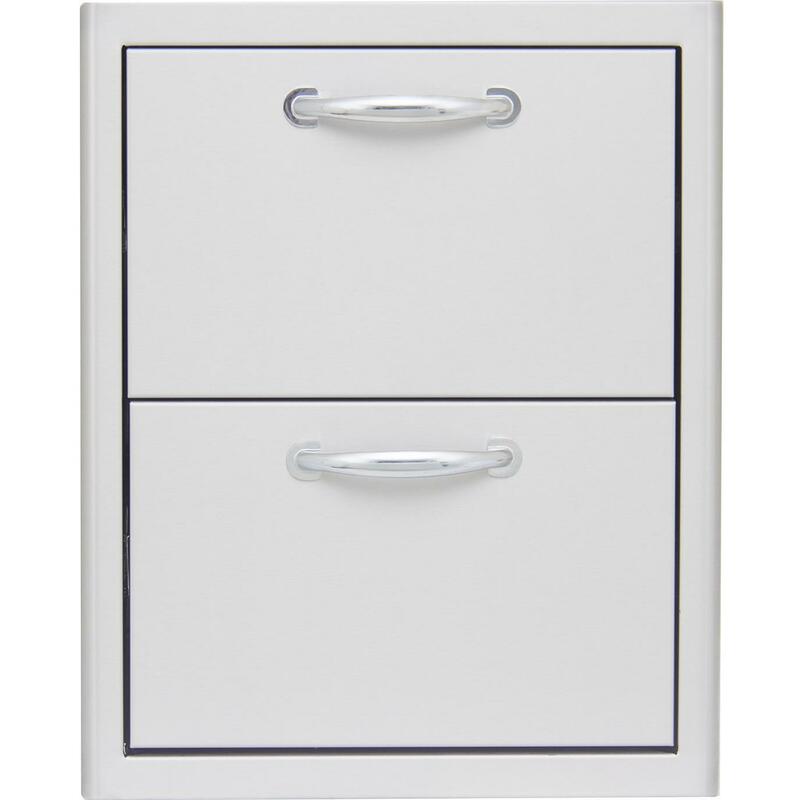 Product Description: Bull 15-Stainless Steel Double Access Drawer - 56985. 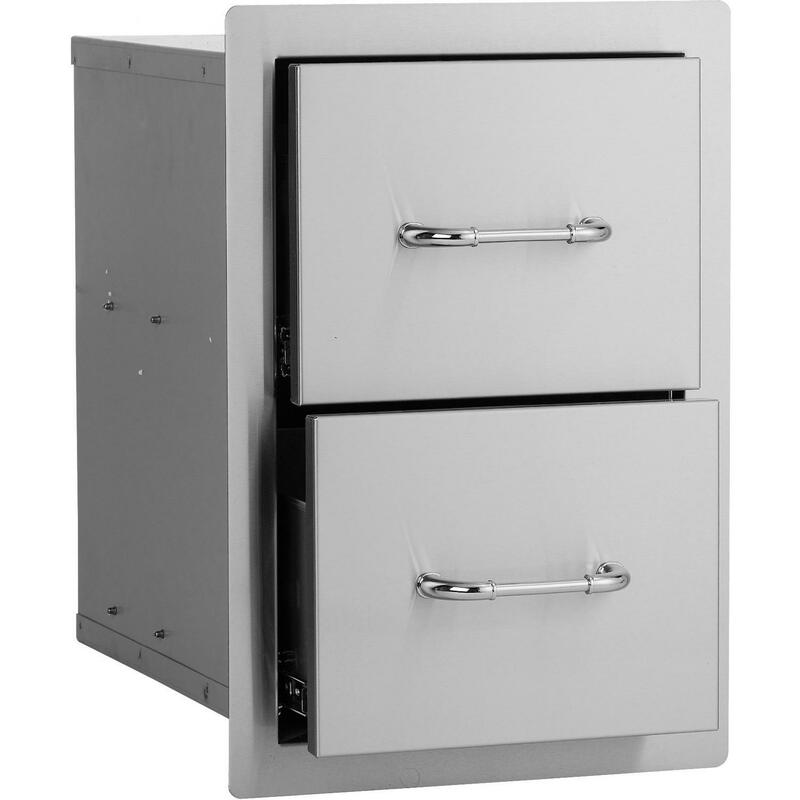 This stainless steel double drawer unit integrates perfectly with your Bull outdoor BBQ island. Use these drawers to store away your Bull accessories for your outdoor grilling spot. Bull accessories are guaranteed to make your outdoor entertaining area a complete success.